General Aung San Suu Kyi? The silence of the Nobel peace prize laureate Aung San Suu Kyi on the Rohingya crisis has been deafening, to say the least. While the very unBuddhistic attitude of Buddhist Monks and lay Buddhists which accounts for about 90% of the Myanmar population is perplexing and shameful, the silence of Aung San Suu Kyi is unpardonable. The political imperatives she faces maybe understood as she could easily meet with an “accident” if she defies the Military on this issue, and she would be reviled by her own majority Buddhist population led by the leading Buddhist Monk activist Ashin Wirathu if she showed any sympathy towards the Rohingya people. However, in keeping with her fight for human rights throughout her life and for which she has been awarded more peace prizes than any other leader in the world, what she could have done, placating both powerful political arms of Myanmar, would have been to show sympathy to the Rohingya people as human beings and worked with the UN, the Bangladeshi government and other sympathetic governments to make the life of these miserable Rohingya people at least more human. If allowing the activist Buddhist Monks who are anything but Buddhist as per Buddha’s teachings, and the Military, of course known more for their inhumane qualities than not, to treat these human beings as dispensable objects, is a measure of political survival, one might rightly say it is not worth surviving in order to satisfy a lot who have now brought disgrace and disdain upon Aung San Suu Kyi. She should have spoken for the inhumaneness of the way the Rohingya people were treated, rather than defend a majority and the Military might that do not deserve to be defended. She is an astute and well experienced person who could have treaded the difficult path by speaking out on the human crisis leaving the political aspect of it aside for discussion and debate at a later time. If past history of Bangladesh is to be recounted, Islam made its first appearance in the Bengal region during the 7th century AD through Arab Muslim traders and Sufi missionaries. The subsequent Muslim conquest of Bengal in the 12th century led to the establishment of Islam across the region. Beginning in 1202, Muslim rule was ushered throughout Bengal. Previous dynasties in modern day Bangladesh had been of Hindu and Buddhist origins and there is a fear, for whatever reason, that the presence of Rohingya people who are Moslems and therefore linked to the good and the bad of the rest of the Muslim world, are a threat to Buddhism and the Buddhist population of Myanmar. This is a political issue that needs addressing and it should not be mixed with the human tragedy that has befallen some human beings simply because of their ethnicity and religion. Aung San Suu Kyi should have defended the right of human beings to be treated as human beings in her own country. The question being asked now by all those institutions that awarded her peace prizes and many other human rights activists is how such an iconic figure of human rights be so reticent when it comes to defending the human rights of an ethnic minority from her own country. No doubt the politics in Rakhine State is complex and not well understood by outsiders and Aung Sun Suu Kyi probably feared that her positioning on this could have further fuelled tensions between the Buddhist majority and the Rohingya, who make up about a third of the population of Rakhine state, which borders Bangladesh. Extremist movements such as 969, which is driven by Ashin Wirathu, and Ma Ba Tha – the Organisation for the Protection of Race and Religion – present themselves as defenders of the country’s interests and its Bamar majority against foreign influence in Myanmar. While insisting that he is against violence, Ashin Wirathu and those like him have fuelled and exploited tensions between Buddhists and Muslims in Rakhine state, promoting the belief that Islam is penetrating the country to install sharia law and leave Buddhists as a minority. To make matters very difficult for Aung San Suu Kyi, some nationalists have begun smearing her by depicting her as “the Muslim lover”. 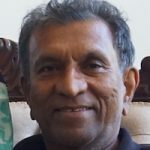 In a country that is 90% Buddhist there is little sympathy to be found for the Rohingya cause, and expressing support could be suicidal politically for Aung San Suu Kyi as the military could easily replace her and install a puppet civilian leader if she loses the support of the Buddhist majority. The reform processes going on in the country could suffer a major setback were this to happen. Many analysts seem to believe that powerful people in the Military with close links to radical monks are deliberately stirring up tensions between communities in an attempt to disrupt on going political reforms. There is no doubt that Aung San Suu Kyi has to balance the strategies related to political reforms for which she fought throughout her adult life, with ground realities in the Rakhine State and more broadly within Myanmar, and also the voices of despair and disappointment emanating from many parts of the world. This needs to be understood before pre judging her. However, in the judgement of many, her silence on the human tragedy in Rakhine on people who did not chose to be Muslims or Islamists or Rakhine people or Bangladeshi’s when they were born, and the violation of all their basic norms of human rights, cannot be condoned. “While insisting that he is against violence, Ashin Wirathu and those like him have fuelled and exploited tensions between Buddhists and Muslims in Rakhine state, promoting the belief that Islam is penetrating the country to install sharia law and leave Buddhists as a minority”. A dangerous belief by extremists in Sri Lanka too. In reality, Muslims do penetrate; the proof is Pakistan, Bangladesh, Malaysia, Indonesia where penetration was so successful to make them Muslim countries probably through unnoticed, systematic ethnic cleansing as well. The visible precautionary measures being taken in some western countries, popularly known as Islamophobia too proves that. It’s accepted that human rights of everybody must be protected @ any expense. But when communities of 2 lifestyles live together & the minority that started life there probably as squatters some time back should have a responsibility to make least negative impact upon the majority host community. What’s happening in Rakhine is probably that. The reason for Rakhine conflict is not solely racial treatment of Myanmar people upon Muslims but failure of migrated Muslim community from BD to establish understanding /cordial relationship with them. Steve if you’re an appreciator of sharia we can see where are you as far as human rights is concerned. In any country Muslims aren’t fond of birth control whereas other communities are concerned with it & have the belief that population growth must be in par with economic development, so it’s right that Muslim community may expand in population & that impacts for Muslims to become majority after some time. Talking the truth is not extremism. What a crap of a fake history is written by Real Revolutionist here. The Burma is creation of the British. The thieves who established a company by the name EST INDIA COMPANY and then later penetrated through inciting one against the other, made lot of money out of exporting OPIUM to China and when the infighting began in the Moghul Empire, they sneaked in and destroyed the 700+ year old Mogul Rule and enslaved the entire land and called it INIDA. Same with the territory that now its called BURMA. There was no Burma before the invasion of the JUDEO+CHRISTIAN ZIONIST project of invading the AISA region nations to steal their natural wealth. The Burma was then created by arbitrarily going against the natural ruling areas by different ethnicities, by combining them against their will by declaring as a new country. This they did to many countries including the Ceylon. Tamils had a separate ruling area. The British Wealthy Jews plotted against the people who were original inhabitants in these lands by creating RULING ELITES with a Secret Jewish blooded origin (Donme’s) to take over the reign from the newly created country from then onwards. Rohingyas are not squatter but the original inhabitants forcefully enslaved by the Ruling Elites (secret Jews of Burma). Burma is one of the first countries that recognized ISRAEL when it was declared a country. That tells the secret agenda behind this massacre of human beings. Its a project of the Zionists to depopulation endorsed by their elders/proponents called Agenda 21. Yes Raj, it is a balancing act which is near impossible. But the same question goes to our Lankans who have kept silence for more than 50 years. Complexity is a lame excuse for unwillingness to denounce a genocidal act. Unqualified condemnation of the carnage would have helped to arrest the violence. She seemed on par with JRJ after July 1983. “If you do not lie in your heart, you live in the hearts of all”. The nobel peace prize is a farce. It is a political act of poor longterm consequence’done on the spur of the moment; best to ignore it as a farce. 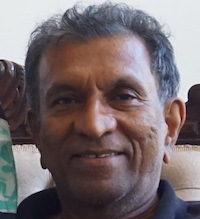 Raj Gomsakorale: I do not whether the Huenas barking here in comments know what they talking. Rakhine stte was a buddhist province. Now, since the British time may be , sopme onme wants to give a new name czalled Rohinagya and want to settle Bangladeshi msulims who are sunnis but adulterated with Shitte philosophy. Their ancient is Myanmar. Instead burma named it burma based on another Ethinic group. UN SUN SUN KYI is their woman for Myanmar. Now they have imposed trade sanctions for Myanmar Military Officiers but not for UnSUNSUNKYI. That is WESTERN SELECTIVE JUSTICE. BECAUSE CHINA WAS DEVELOPING PETROLEUM RESOUIRCES IN Myanmar. Well well well this is what happens when to people who attain such heights and loose their morals. We can say the same for Mara, after all he was our hero too, until he rose to the throne and his ignorance and greed was his undoing. Too Bad. These things have been common knowledge of buddhist for thousands of years. Every persons down fall is his greed. Like you have correctly stated, Aung San Suu kyi is doing a balancing act instead of telling the simple truth. This balancing act is for her selfish desires. Where there is selfish desire there is disaster. Only few truly great people can overcome this phenomenon. Not just Mara many other greats or those we thought were greats have ended up exposing and embarassing themselves here in Sri Lanka. Pity the whole practice of Buddhism is turned on its head and yet they talk about defending Buddhism. How ironic! Nobel Committee refuses to withdraw the award making a mockery of the whole system. ““It’s important to remember that a Nobel Prize, whether in Physics, Literature or Peace, is awarded for some prize-worthy effort or achievement of the past,” said Olav Njoelstad, the secretary of the Norwegian Nobel Committee. The Burmese Junta knew something we never knew. They watched Aung San Suu Kyi and found that what she wanted most were the privileges she was used to. She probably did not expect to be released and so cottoned on to this human rights thingy. She modified the “Power corrupts” to “Fear of losing power corrupts those who wield it”. The whole world went ga ga but the Junta knew that she did not mean it. Today she is the typical example of that the famous quote. Aung San Suu Kyi is an active participant of the genocide of Rohingyas. She outwitted everyone. She assessed that since the Rohingyas are very poor, the world interest will be only artificial. She was spot on. Australia for example openly showed contempt. How about India? Her instinct told her that the Muslim world will not be interested. Here she is nothing short of brilliant. Most Lankan Muslims do not know who or what this Rohingya thingy is. Aung San Suu Kyi has powerful backers who can and will silence the UN if and when the need arose.